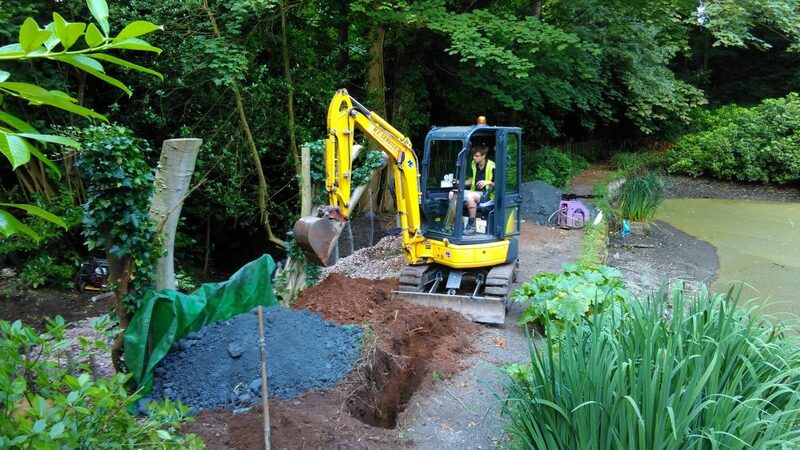 Dam repair and stream works were successfully completed in August 2016 at Wightwick Manor, Wolverhampton for the National Trust. Seepage through the earth dam embankment and erosion of the rear slope was leading to high risk of failure. Trench excavation along the dam crest and backfill with a central core of well compacted clay to repair seepage through the dam. Realignment of the outlet stream running along the rear of the dam to allow creation of a shallower gradient dam embankment (re-grading). Post and geotextile revetment (soft engineering solution) at the toe of the rear dam embankment to provide erosion protection into the future. 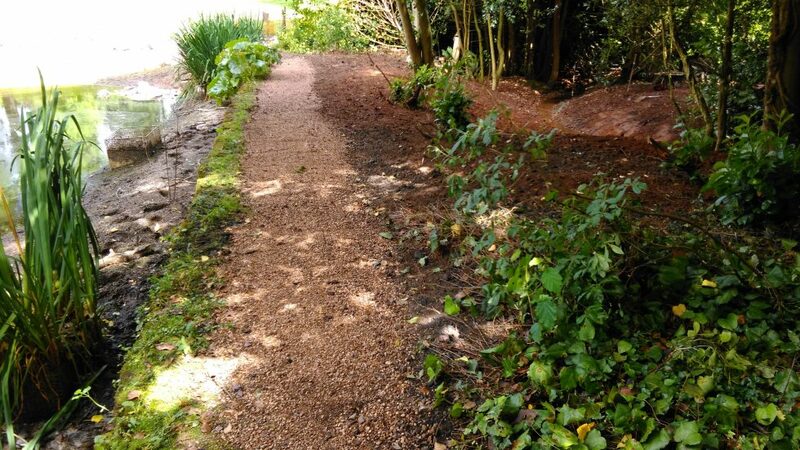 The completed works were left as a ‘blank canvas’ for Wightwick Manor garden staff to plant after the dam repair to create a feature of the rear dam slope and stream to enhance the visitor experience. 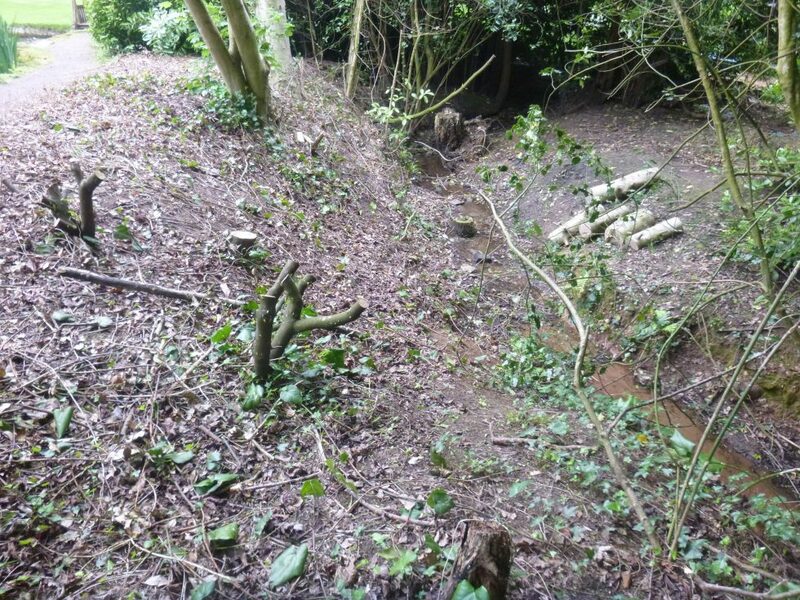 Before: Over-steepened rear dam embankment and outlet stream cleared of vegetation prior to construction works. Seepage into the stream was occurring through the dam embankment (caused by piping through the dam). During: Trench excavation along the dam crest and backfill with compacted puddle clay to form a low permeable core to the dam and repair seepage. After: Reinstatement of footpath following completion of trenching works. 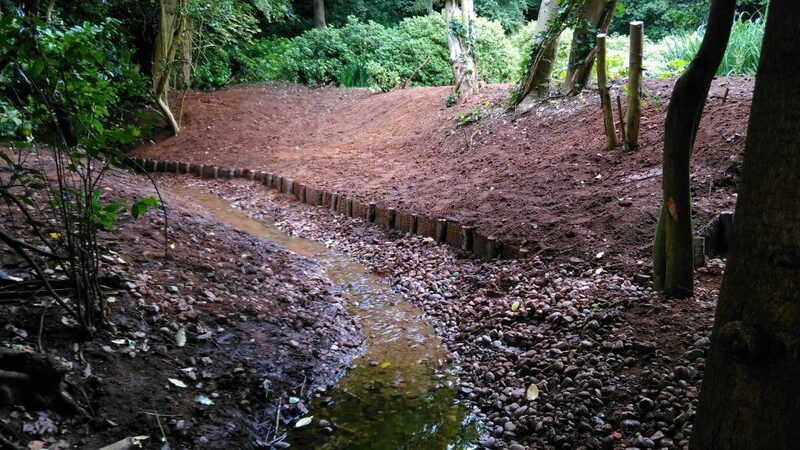 After: Rear dam embankment re-graded and erosion protection revetment works installed. Awaiting planting by Wightwick Manor garden staff. 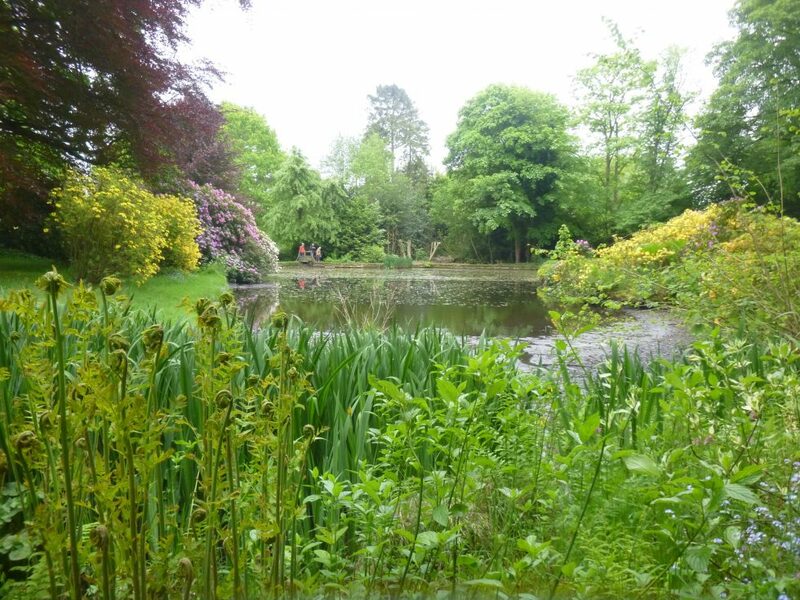 Wightwick Manor garden and pond during it’s stunning spring display. Our stillwater projects are diverse and range from small community school ponds to the creation of sizeable farm ponds for water storage, domestic water garden features, dam repairs, stew pond conversions and the restoration of Scheduled Ancient Monuments such as the Norman Mott & Bailey at Sherrington in 2015 in consultation with Historic England. Similar restoration work was successfully carried out on behalf of Natural England and the landowner on the eroding decoy pond at Abbotsbury Swannery in Dorset.